All of FlipFlop Leos Leotards are handmade, brand new & have never been worn. 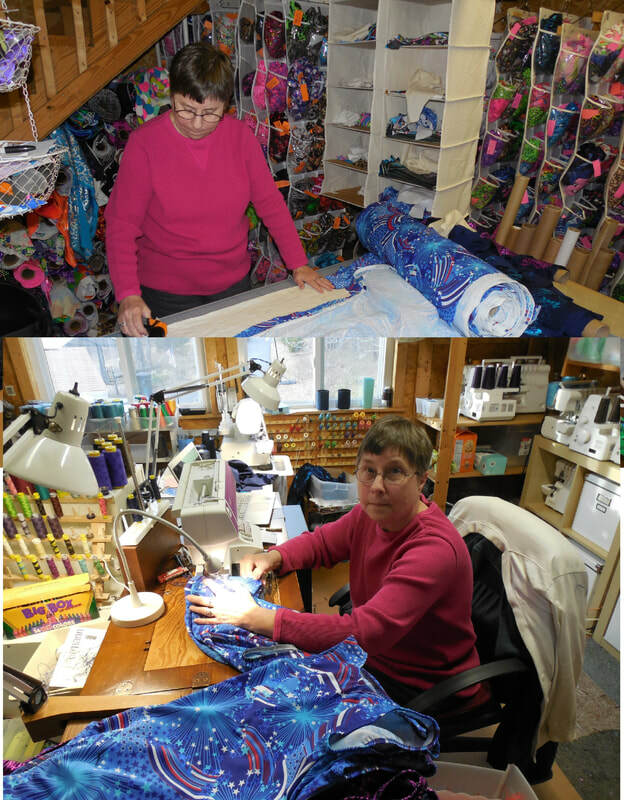 I have been sewing and selling leotards for over 30 years. FlipFlop Leos fabrics are fun and colorful. I have sold Flipflop leos on ebay for 13 years and have earned a stellar reputation for customer service, great styles, comfort & fantastic prices. use the size chart & measuring guide to find the perfect fit. When my daughter, Dana, was six years old she began gymnastics in a small recreational program, and that began a mother/daughter journey that continues to this day. As she progressed to a gymnastics team and began working out over 20 hours a week I wanted to encourage her without being a "pushy" parent. I decided that one of the ways I could do this was to provide a variety of gymnastics workout leotards so that she would feel pretty and special every day. The cost of leotards available in catalogs and pro shops drove me to get out my sewing machine and start sewing! Dana competed all-around at the highest levels all the way through high school, eventually earning a full gymnastics scholarship to University of Denver. By that time I had sewn hundreds of leotards for Dana, her friends, and the pro shop at her gym. I learned that the leotards needed to be fashionable, comfortable and FUN! I have sold hundreds of thousands of leotards on Ebay for the past 13 years, earning 100% positive feedbacks. Now, please join me on my own website and let's continue this journey!